Amidst all the controversy surrounding Gilas Pilipinas’s neutered roster and compressed preparations, the 2015 FIBA Asia Championship in Changsha, Hunan, China will commence on September 23. In my previous post, I looked at a strong Gulf powerhouse Qatar, but now I want to focus on one of the major title contenders, the host country, China. - Like most Asian teams, China’s last major tournament was the 2014 Asian Games in Incheon, South Korea, where they were seeded in the second round. China sent its “B Team” to that tournament, led by veterans from their 2013 FIBA Asia squad: Liu Xiaoyu, Wang Zhelin, Zhou Peng, Li Xiaoxu, and Guo Ailun. Current national team coach Gong Luming helmed that team, which swept its first three games, but suffered consecutive defeats to Japan and Iran in the quarterfinals. China beat the Philippines and Qatar in the classification games to finish in the top five. Zhao Tailong was a revelation in that competition, leading the team in scoring with a dozen markers per game. 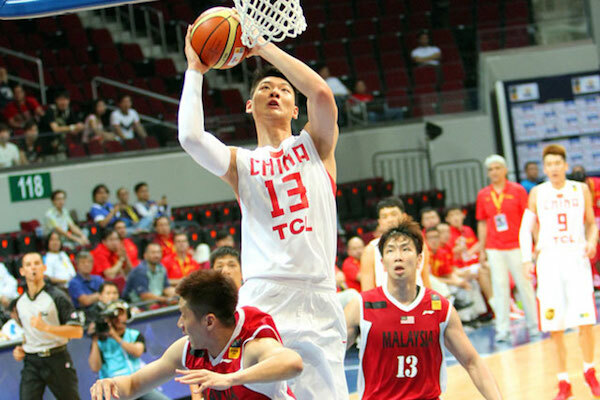 Youngster Zhou Qi also impressed, grabbing 7 rebounds and blocking 2 shots per contest. Not surprisingly, both are in the current senior national team. Guo Ailun helped China to a top five finish in the 2014 Asian Games. - The Chinese started training way back in late March. They are, in fact, the team that started the earliest despite the fact they will be playing at home and parading one of the deepest rosters in the tournament. Throughout the past six months, coach Gong Luming has spared no expense in providing tough competition to his wards. They had various series of tune-up games against an American selection, the Lithuanian U24 team, some European clubs, and the national teams of Venezuela, Russia, Ireland, and Serbia. They’ve lost more tune-up games than they’ve won, but that’s primarily because they’ve rarely paraded their full-strength line-up. Zhou Peng and the rest of the Chinese team started training way back in late March. 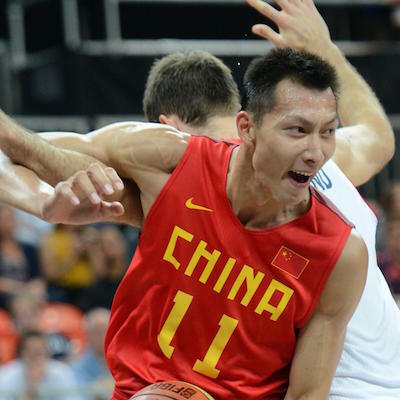 - Yi Jianlian will be turning 28 later this year, which means he should be hitting his prime in the 2015 FIBA Asia Championship. He didn’t do particularly well in 2013, when he was slowed down by injury, so he should be raring to prove that he is still among the best big men in the continent. Aside from his talents, though, his leadership and experience will be crucial in pushing China back to the top of the Asian hoops mountain. Aside from Yi, China will be parading three more players who can only be described as giants. 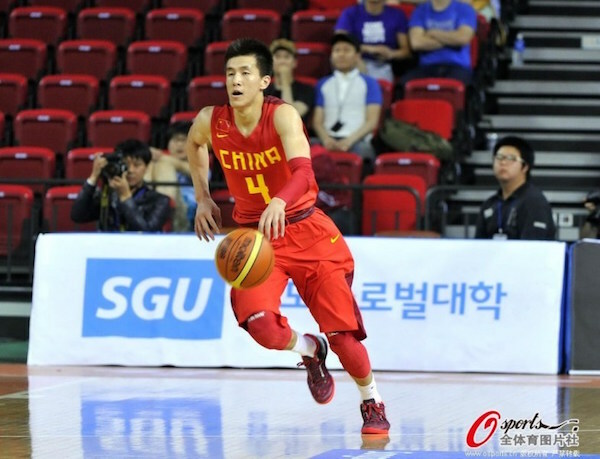 The “shortest” is 21-year-old Wang Zhelin, who, like Yi, also played in Manila two years ago. 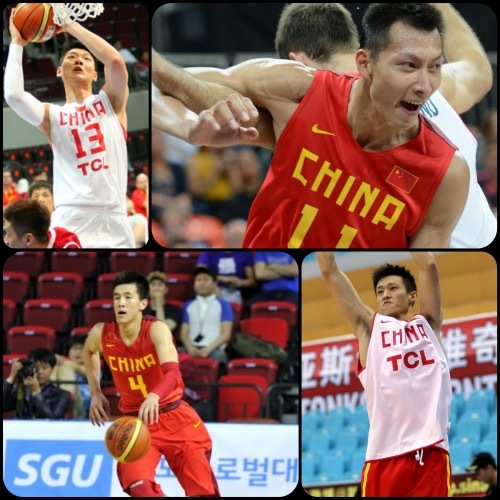 Joining them to make up the new generation of the “Walking Great Wall” are 23-year-old Li Muhao and 19-year-old Zhou Qi. Depth will also be a strength for the Chinese, who have very talented players at every position. Returning to senior national team duty are veterans Liu Wei, Guo Ailun, and Zhou Peng, while newcomers like Zhao Jiwei, Zhao Tailong, and Li Gen will all be raring to impress. Much of the burden of leading this team will fall on Yi Jianlian's shoulders. 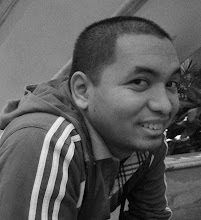 - Most of coach Gong’s wards will, in fact, play in the FIBA Asia Championship for the first time, and that may be the only flaw of this team. Their relative inexperience may put a dent in their efficiency and consistency against the highest level of basketball in Asia. Having said that, I expect that China will play much better than they did in 2013. The Big Red Machine tend to up their level when playing at home, and it shouldn’t come as a surprise if they dominate in most of their matches. Still, with quite a young team, it’s clear that they are in transition. Winning the championship is a distinct possibility, but by no means are the hosts the odds-on favorites. Can Wang Zhelin and the rest of China book a ticket to #Rio2016?